It’s true. With its unique subtropical climate, Florida is one of the “buggiest” states in the country. But, twice a year, for two weeks at a time, Florida is overrun by an insect so terrible, so vile, that it’s very name strikes fear in the hearts of even the bravest Floridian. It’s…The lovebug! If you’ve been on vacation here, either in late April/early May or late August/early September, you’ve definitely seen them. There can be thousands of them at one time or just that one pair you can’t seem to get unattached from your shirt sleeve. If you look closely, that one annoying bug is actually two, joined together. The Plecia nearctica, as they are scientifically known, are a member of the March fly family. 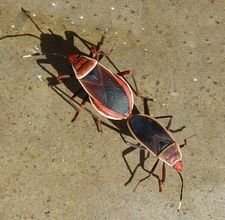 They are also known as the honeymoon fly, telephone bug, double-headed bug, united bug and kissing bug and are found in the Southeastern United States; specifically in the gulf coast region. American entomologist Dilbert Elmo (D.E.) Hardy first reported on them in 1940. One male and one female will usually remain attached to each other, even after they finish mating, until death, which certainly adds a somewhat Shakespearean dimension to this otherwise mundane topic. At only 1/4 inch, they would never appear to be much of a nuisance, but believe me when I say, “They are!” Why do we hate them so much? Well, it certainly isn’t because of their ferociousness. (They can’t hurt you since they don’t bite or sting.) Rather, it has to do with how they travel. See, love bugs travel in giant swarms, sometimes numbering in the tens of thousands, which can cause a little problem. Think about driving down the highway. That’s right! Picture this, you’re leisurely cruising along, when all of the sudden it starts snowing black…in the middle of Central Florida…at the end of August. That’s really the best way to describe driving through a lovebug invasion. 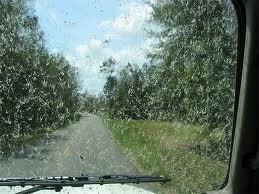 Except, unlike snow, your windshield wipers are useless as the squished bug juice just spreads around and makes it more difficult to see. Inside the body of lovebugs is a slightly acidic juice. This isn’t a problem for a person. That is, until the juice runs into your windshield and bumper as you cruise down Interstate 4. This acid splatters across your glass and paint and, in about 30 seconds, dries in place. It becomes impossible to remove. Thankfully, all you need is a quick soaking of water and a sponge. 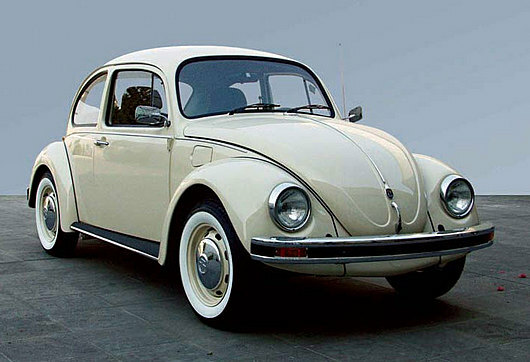 But hurry, lovebug acid will strip the paint off your car if it’s left there very long. Luckily this flying circus of lovebugs only lasts four weeks each year–two in the autumn and two in the spring. That means if you want to see them, you’ll have to plan your trip accordingly. Because, like the Grand Canyon or the Great Wall of China, lovebug season is something everyone should experience at least once in their lives. And when you’re standing at the gas station, scrubbing the windshield of your rental car, remember to take a minute and reflect on the beautifully romantic life of the common Plecia nearctica (the “lovebug”) which you just ended at 70 miles per hour. This entry was posted on September 29, 2011 at 4:05 pm and is filed under My Muses. You can follow any responses to this entry through the RSS 2.0 feed. You can leave a response, or trackback from your own site.